BUMP KEYS This set is comprised of all of our other sets to make one very large set of Bump Keys. To make it easier we have put all the sets together and added a storage case. 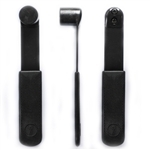 Bump keys are a highly effective method to quickly open locks. This set covers a large percentage of the lock that you might run into in the field. This set includes Schlage (SC1), Kwikset (KW1), Weiser (WR5) Dexter (DE6) Yale (Y1) Master(M1) American (A1045), Arrow (AR1), Yale (Y4) Master (M10) Schlage SC4 Schlage SC8 Schlage SC9 Weiser WR4 Yale Y2 Weslock WK 2 Five pin Weslock WK2 Six Pin Arrow AR4 Sargent 6 pin L1010N and Australian Lockwood (C4/LW4) and comes in a Sparrows Key Chain Mini Hard Case .